I remember buying this album like it was yesterday. The March of 1978 was a crazy time for rock n roll. Rumors was all over the radio, Boston’s second album was about to be released and later that year Billy Joel would release 52nd Street. 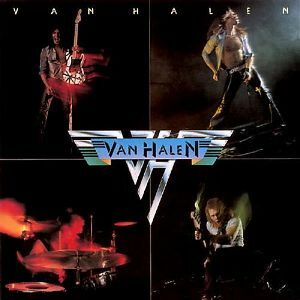 But only one album sounded like Van Halen’s first album. From the reversed and slowed down car horns of Runnin’ With The Devil to the last scream of “On Fire” you could tell this was going to change rock, especially rock guitar and guitarists. The video below is probably the clearest version video wise of Eddie’s dexterity even in his early 60’s. I had the pleasure of seeing them live on that first tour at the old North Hall in downtown Memphis. They were the first band in a three band show with Journey and Montrose (with a young Sammy Hagar). I could tell they were getting respect when they even got to do a sound check, which was unheard of for a band just starting out and opening the show. Eddie, who at this time must have been 22-23 years old stood with his back to the seats while he played so as to not give away his style to the dozen or so of us in the hall before the door opened. I happened to be lucky enough to be picked to be a usher at the show. That’s another story altogether. I don’t remember what song they did during sound check but it blew everyone away with the sound and fury of Eddie’s playing. They looked to be having the time of their lives, and they were just getting started.